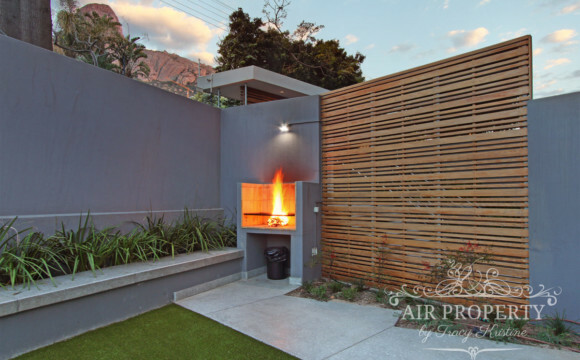 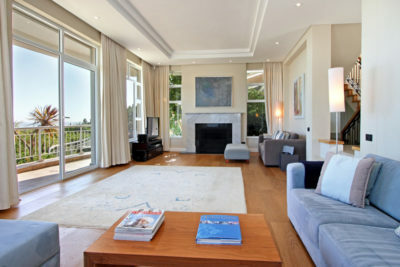 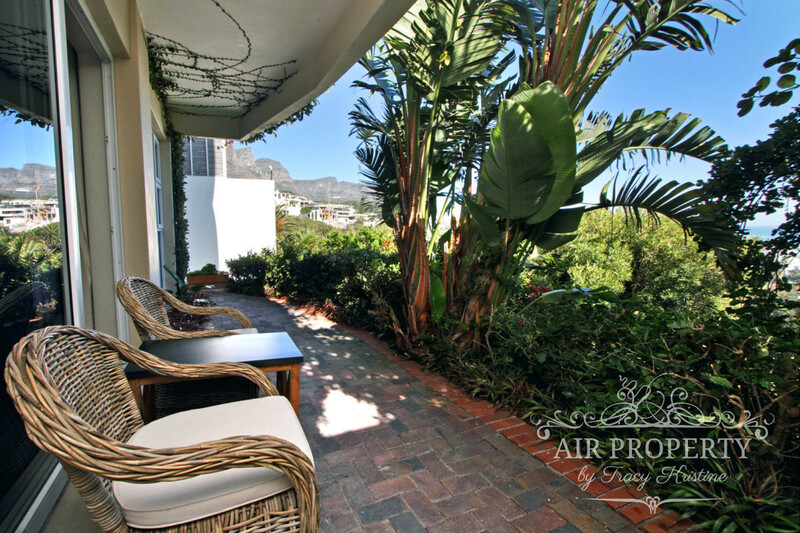 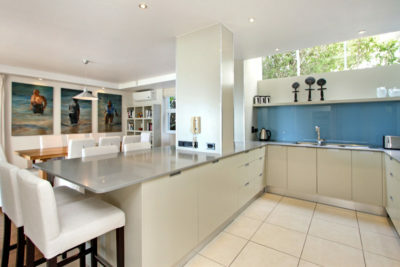 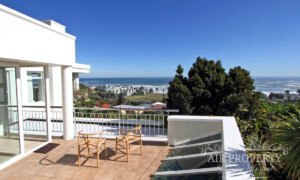 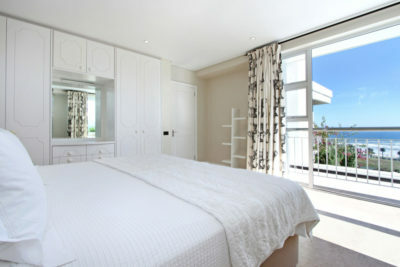 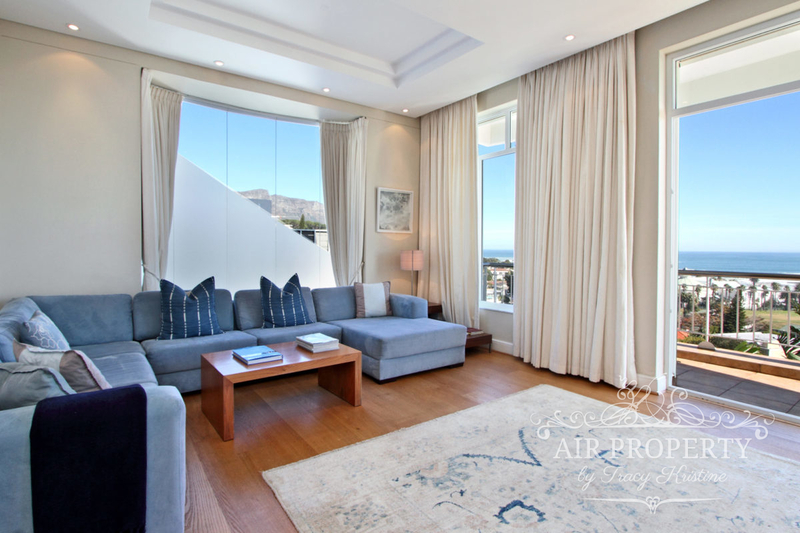 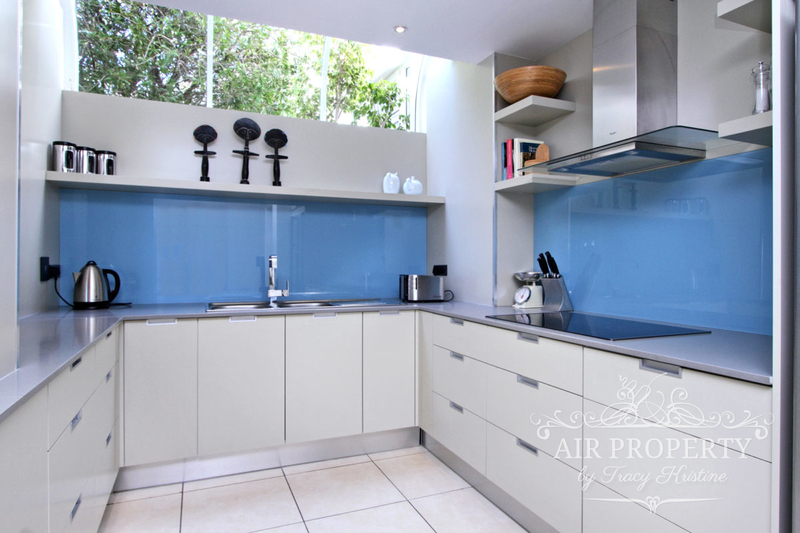 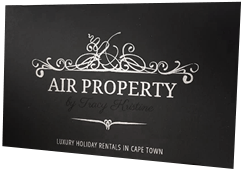 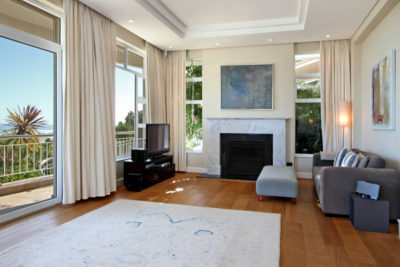 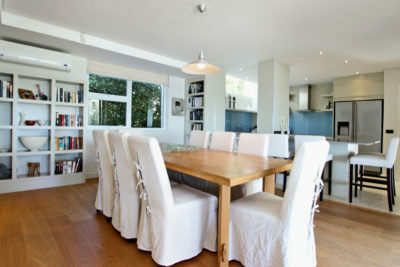 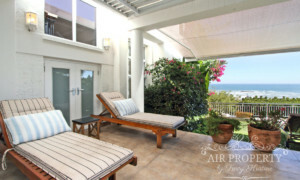 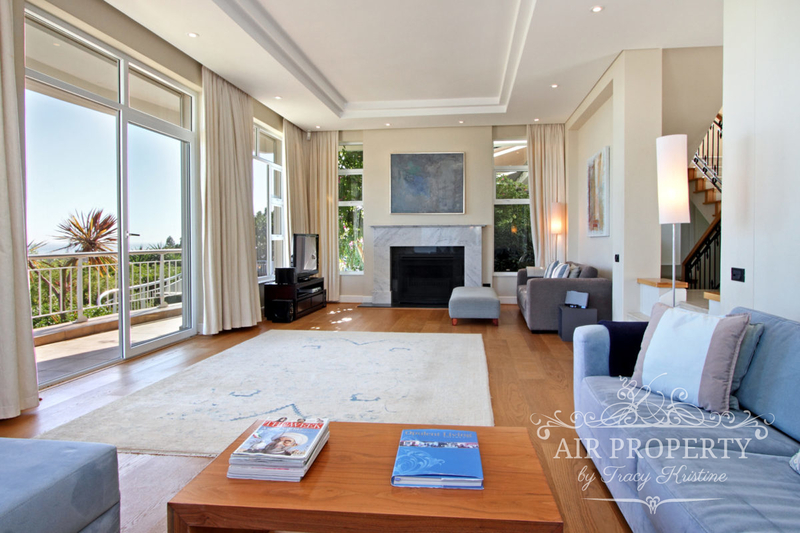 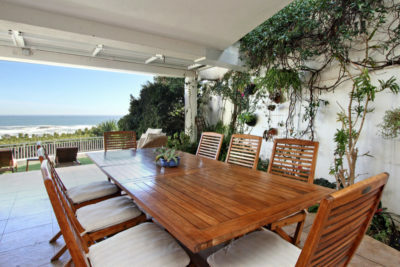 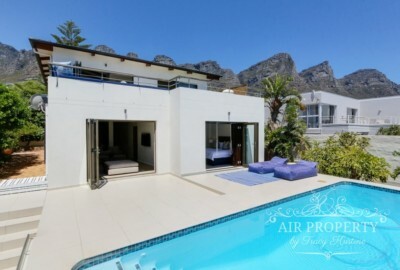 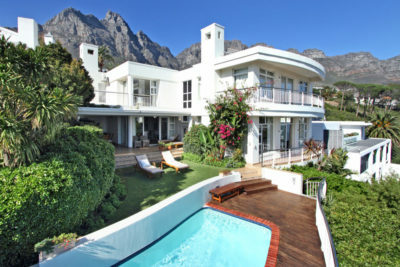 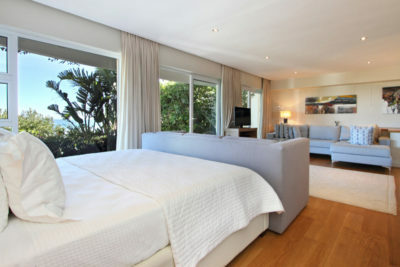 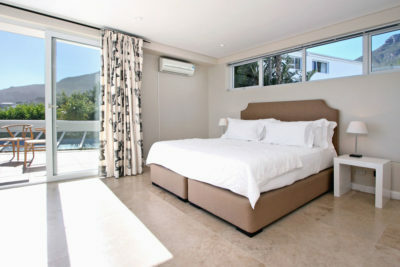 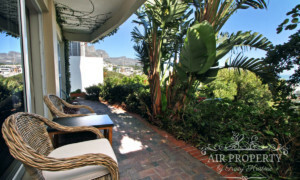 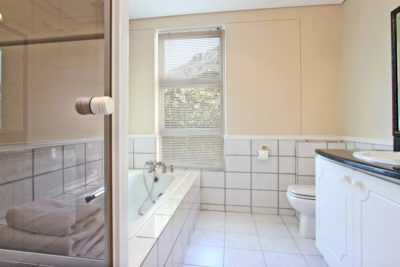 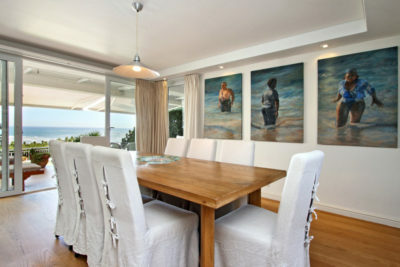 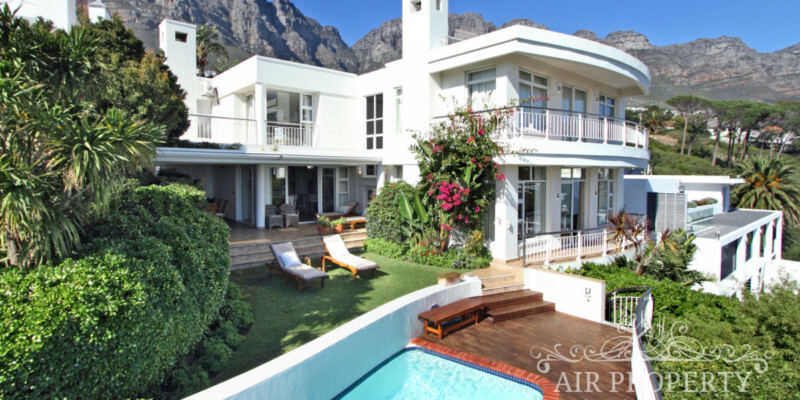 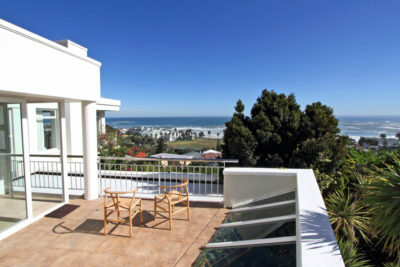 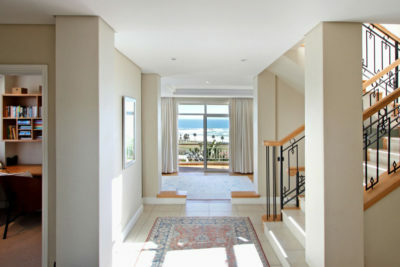 4 Bedroom Holiday Villa in Camps Bay. 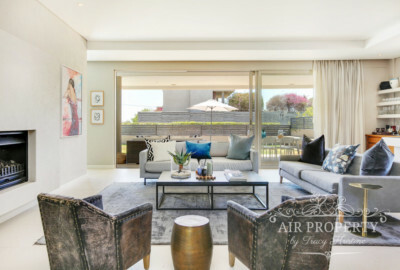 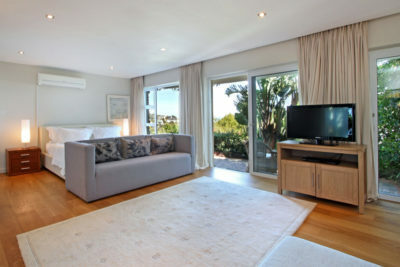 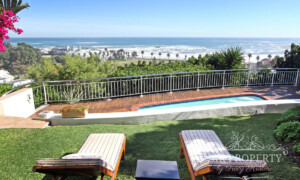 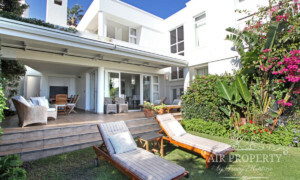 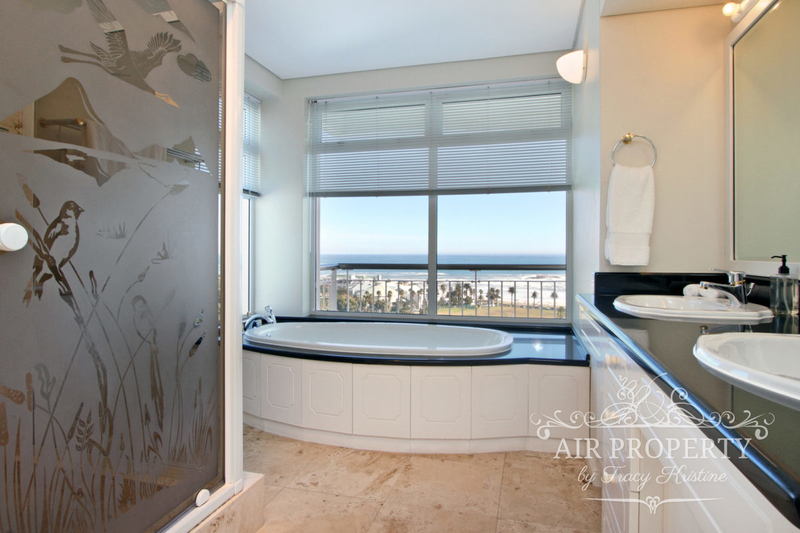 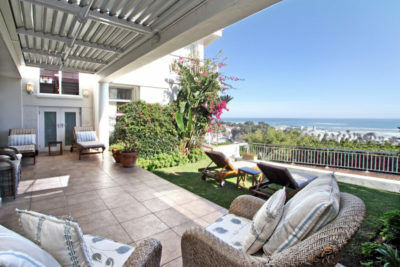 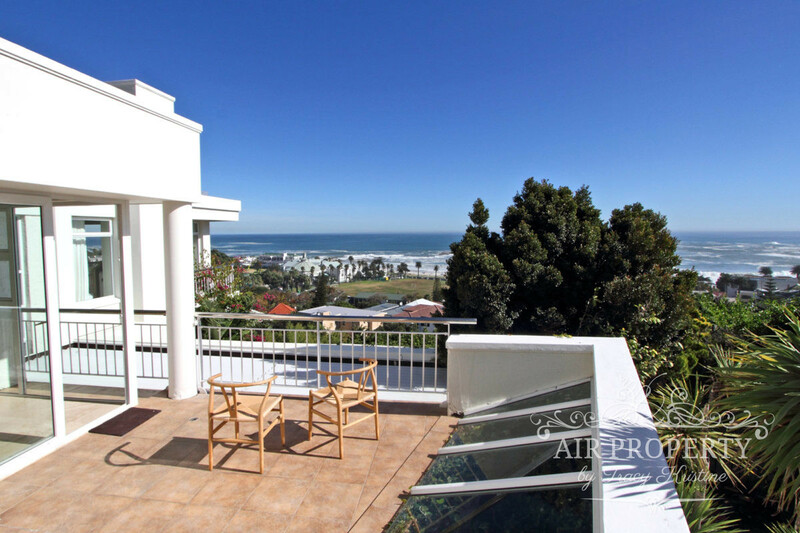 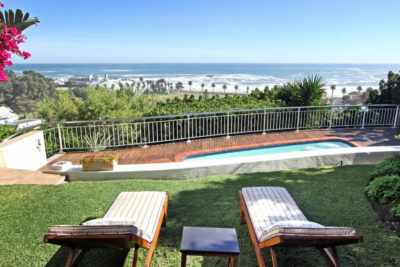 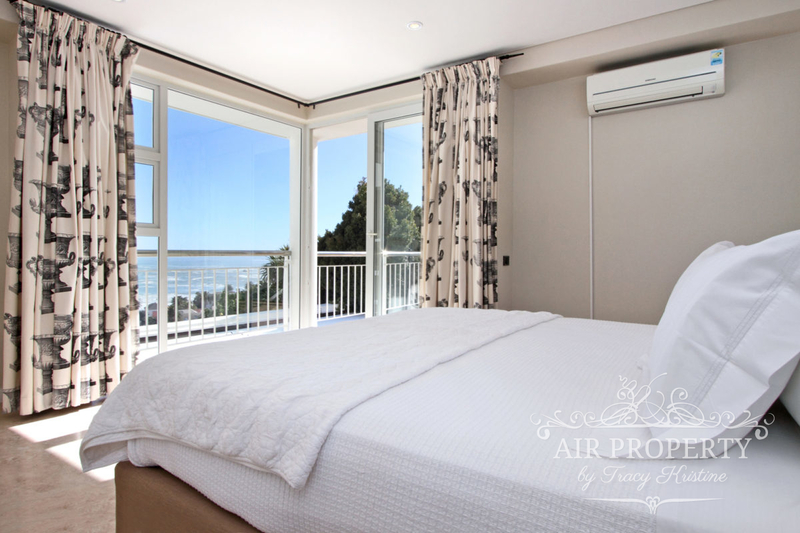 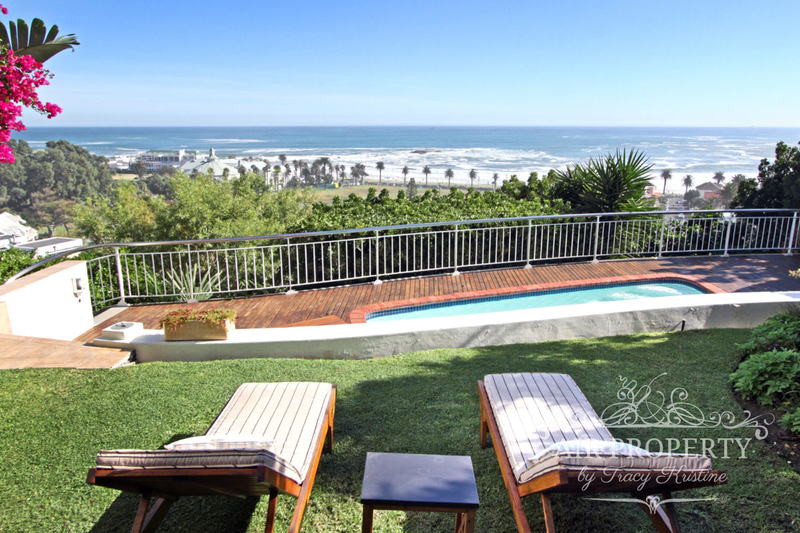 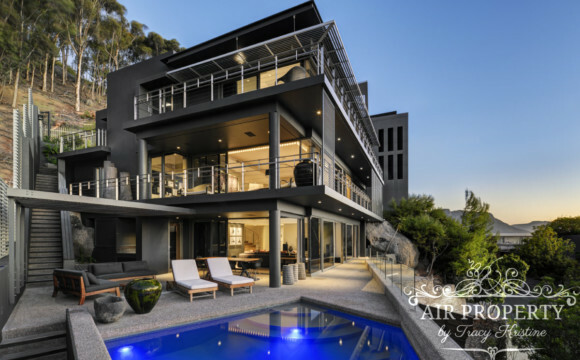 This delightful and very spacious 4-bedroom Camps Bay holiday villa is in a prime location and offers unobstructed sea views and total privacy. The classically styled villa has been newly renovated and offers you elegance, lots of light and a wonderful feeling of space throughout. 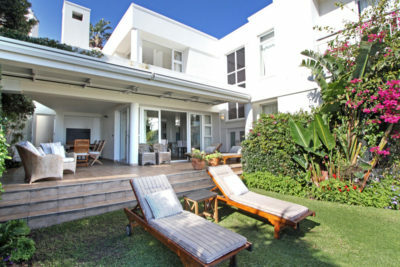 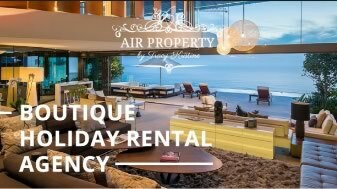 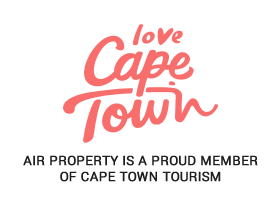 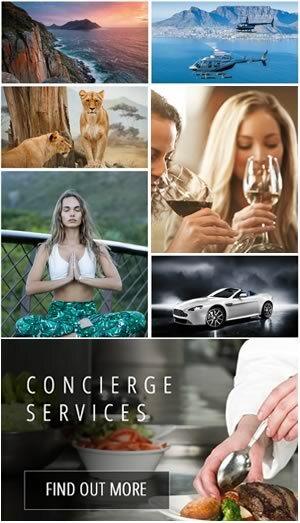 One enters the villa on the ground level, and once through the large entrance hall and down a few steps you are greeted with the backdrop of Camps Bay beach below through wall to wall windows. 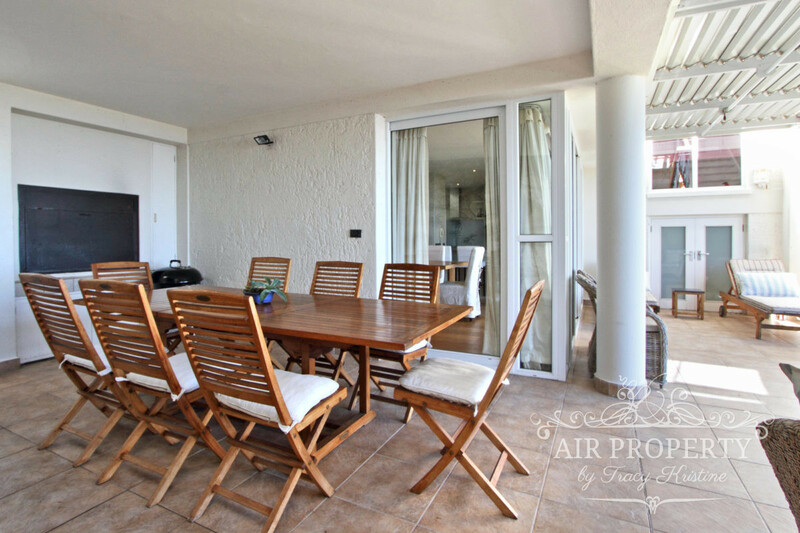 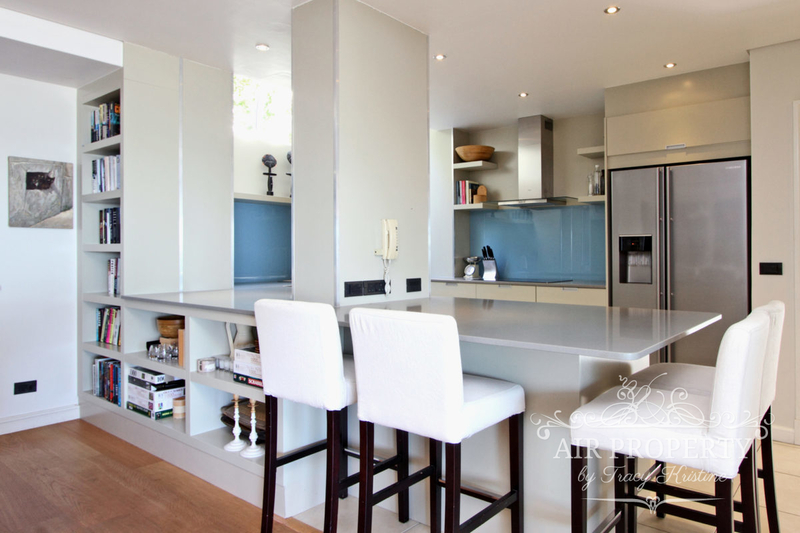 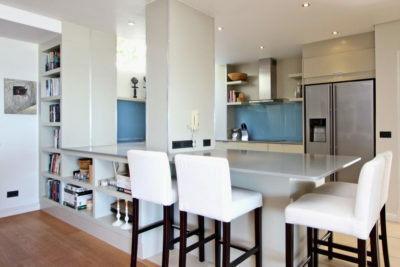 The kitchen and dining area are also on this level on the right side of the house, which opens onto a lovely sheltered terrace and the perfect spot to enjoy breakfast whilst glancing over the ocean below. 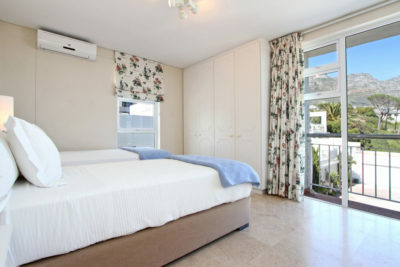 There are three bedrooms located on the top level and one on the lower level The roomy master bedroom interleads to the second bedroom, which makes it perfect for a family with small children. 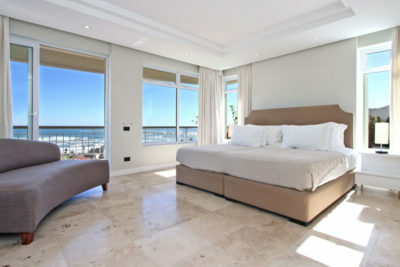 The fourth bedroom is located on the bottom level and even though it doesn’t have sea views is the largest room out of the four. 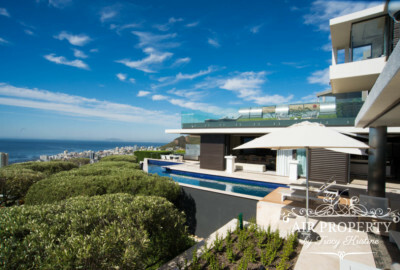 The pool and garden area are located on the middle level and boast breathtaking views. 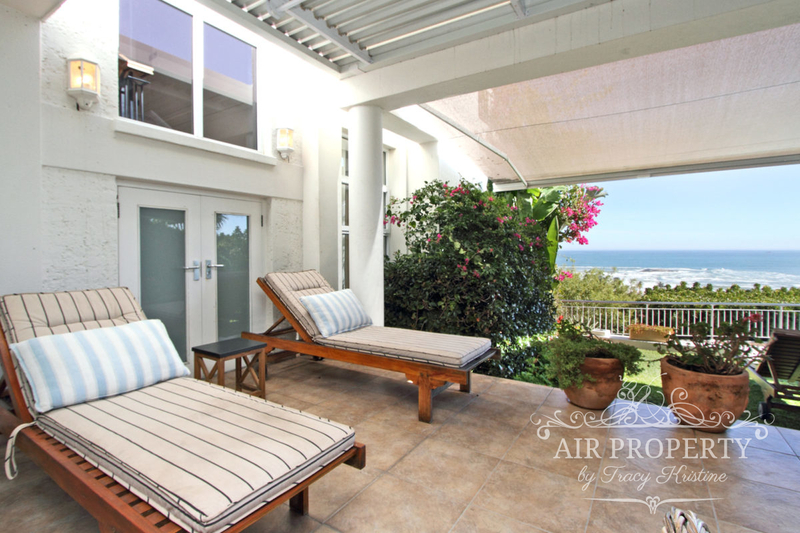 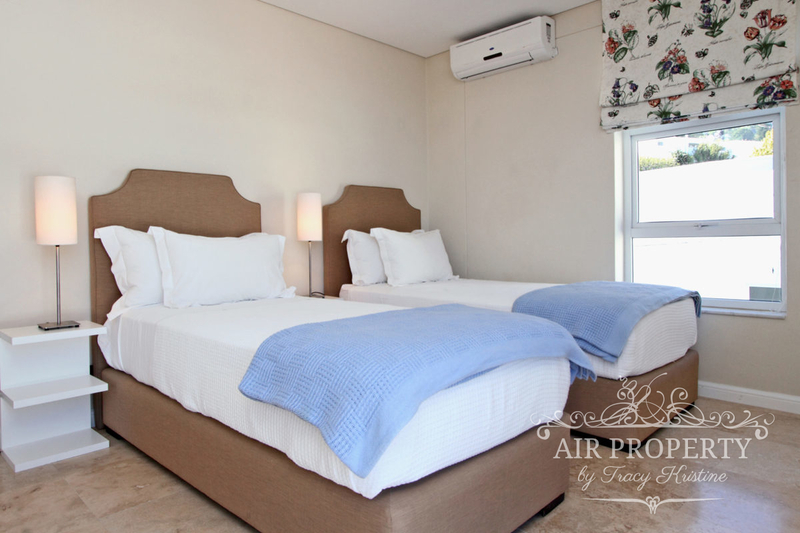 Flora Villa is the perfect villa for those who are looking for privacy, excellent sea views and wanting to be close to the Camps Bay strip.